USC President C. L. Max Nikias has announced a $25 million gift from Leonard D. Schaeffer, the Judge Robert Maclay Widney Chair and Professor at USC, that will endow and support the USC Leonard D. Schaeffer Center for Health Policy and Economics. The gift bolsters the university’s commitment to using rigorous research to develop policy solutions, including controlling health care costs and improving patient outcomes in the United States and worldwide. 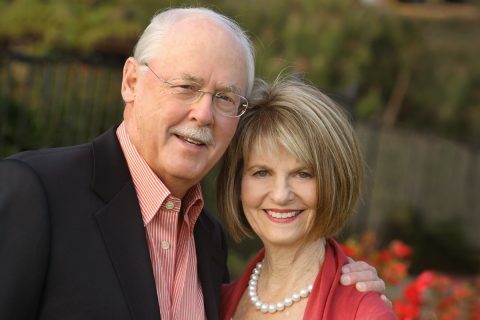 Established in 2009 with a gift from Schaeffer and his wife, Pamela, the Schaeffer Center is jointly housed at the USC Price School of Public Policy and the USC School of Pharmacy. 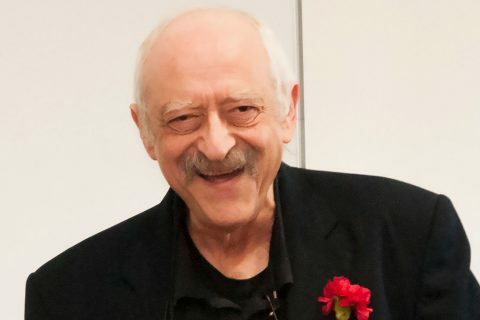 The center is led by renowned health economist Dana Goldman and other distinguished faculty, including economic Nobel laureate Daniel McFadden. With a reputation for timely, evidence-based analysis of health care issues, the Schaeffer Center has developed into one of the nation’s premier policy institutions, with more than $45 million in external research funding, including research grants from the National Institutes of Health and the Centers for Medicare and Medicaid Services (CMS). Research from the Schaeffer Center has provided critical policy guidance and inventive solutions with the potential to transform health care systems. Research results — including novel analyses of preventive care, insurance competition, the fiscal future of Social Security and Medicare, co-payments and prescription drug adherence, and which medical specialties are most likely to face malpractice claims — are routinely published in top peer-reviewed journals and featured in leading media outlets, such as The Wall Street Journal, The New York Times, Politico and NPR. Schaeffer Center faculty members also deliver their research directly to policymakers through congressional and legislative testimony. This leadership gift from Schaeffer represents significant support for The Campaign for the University of Southern California, a multiyear effort to secure $6 billion or more in private philanthropy to advance USC’s academic priorities and expand the university’s positive impact on the community and world. $11 million to more than $49 billion. 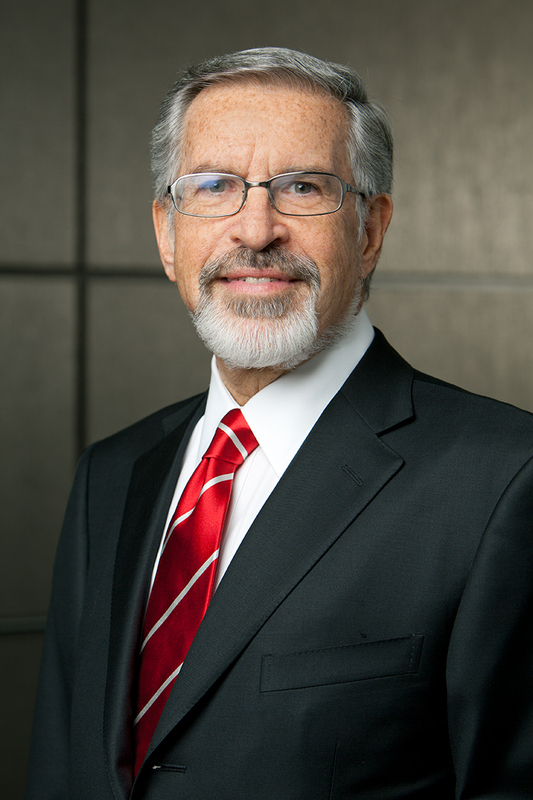 Schaeffer has had an illustrious government career, which included service as administrator of the Health Care Financing Administration, now the CMS, and as assistant secretary for management and budget at the U.S. Department of Health and Human Services. Currently, he serves as a senior adviser to TPG Capital, a private equity firm, in addition to holding a Judge Widney Professorship at USC, a select executive-in-residence position named for one of USC’s founders. He is also a member of the Board of Councilors at USC Price, and serves on the boards of the Brookings Institution, Harvard Medical School, RAND, Quintiles and Amgen. Schaeffer lectures and writes widely on health policy issues. 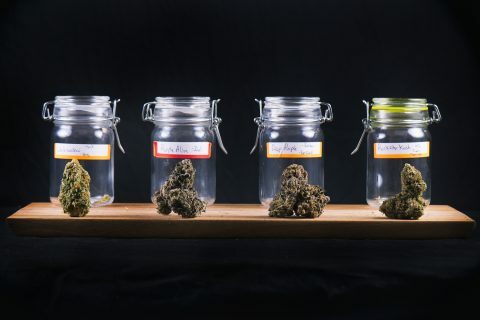 James David Adams of the USC School of Pharmacy, who teaches a course in medical marijuana to pharmacy students, looks untapped healing compounds. 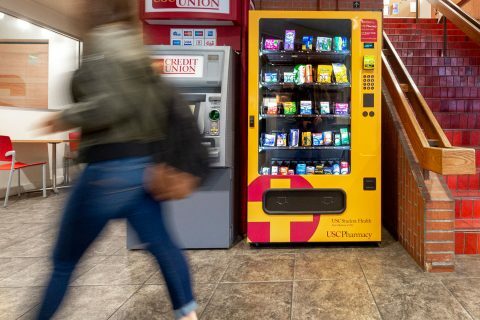 The “wellness-to-go” machine is stocked with everything from ibuprofen and thermometers to pregnancy tests and emergency contraception.